It’s been a while since Google delved into the world of tablets, choosing instead to focus more of its efforts into its Chrome OS powered convertible styled laptops. That all changed today, as the Mountain View based company took the wraps off its brand-new Google Pixel Slate tablet, which is also running Chrome OS. With this latest venture, it’s looking more like a response to Apple’s popular iPad Pro line with its slick looks, killer specs, and similar pricing. We’ve seen how Android tablets as a whole have declined, so it’s interesting to see if the Pixel Slate marks the beginning of a new entry! The Pixel Slate definitely doesn’t disappoint with its design! 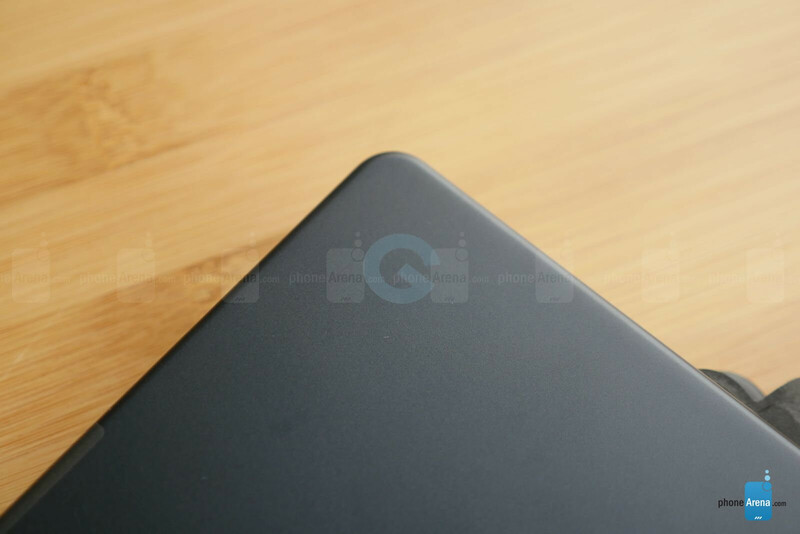 The renders shots of the tablet do justice in what we actually see and get in real-life, seeing that its thin and light aluminum-based frame comes off as slick looking. It’s a minimalist design that’s not too understated, but still comes off solidly constructed. While we really appreciate that its design manages to incorporate dual front-firing speakers, a power button that doubles as a fingerprint sensor, and two USB Type-C ports, we’re just a little disappointed that it omits a headphone jack. We get that it’s been a trend with smartphones, but we’d imagine that it could’ve been offered given the extra confines of a tablet. For those looking to get serious work done on the road, you’re going to need to invest in a few accessories in order to achieve that. 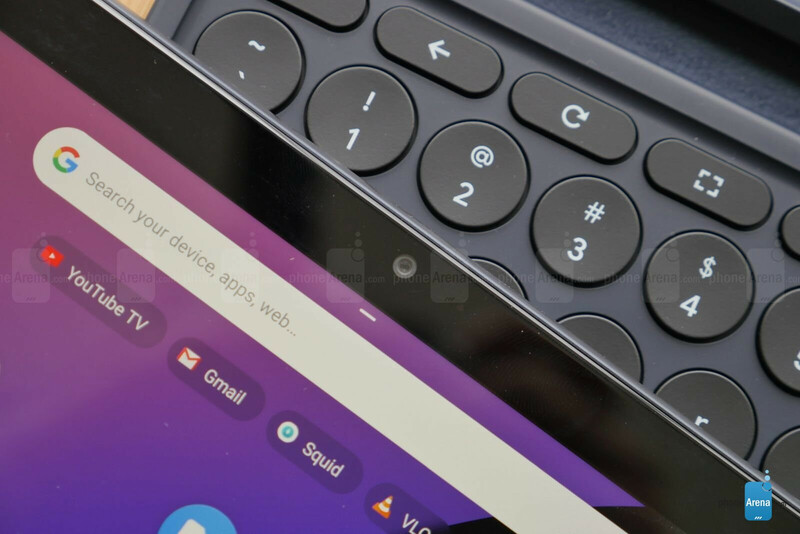 We spent a little bit of time trying out the new $199 Pixel Slate Keyboard, which is notable for its circular sized keys. 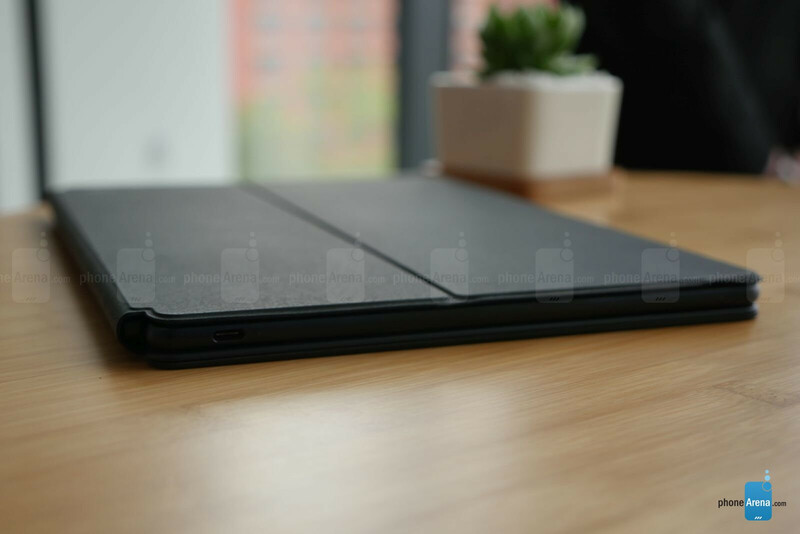 Interestingly, we really like how it essentially doubles as a folio as well – acting as a protective case for the Pixel Slate. At first, we were skeptical about its circular keys, but we found them decently tactile and responsive. Additionally, the trackpad helps to achieve more of that laptop form-factor. Better yet, the magnetic connection is firm and does allow for some articulation to better view the screen. 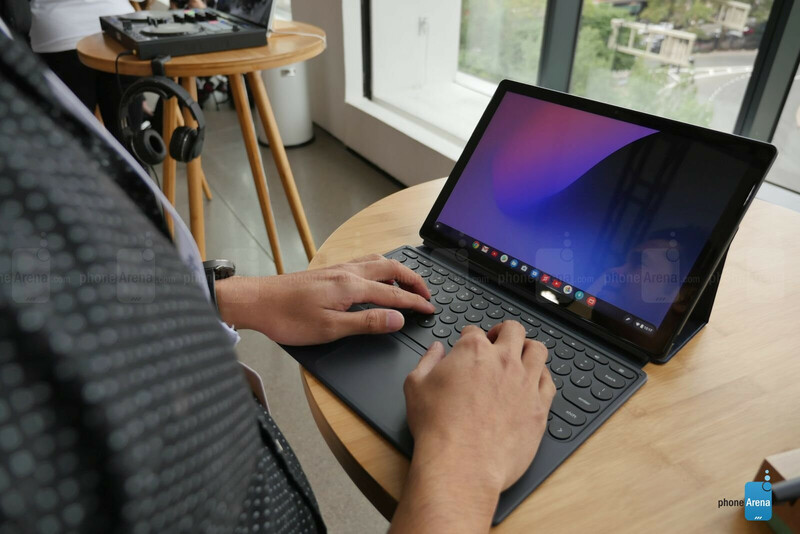 During its press conference, Google talked big about the Pixel Slate’s display – a 12.3-inch so-called “Molecular Display” with a resolution of 3000 x 2000 pixels. We watched a few videos on it and we have to admit that we’re smitten. It’s unbelievably crisp, detailed, and the colors it’s able to produce are rich in tone. For multimedia consumption, there’s no denying the hypnotic attraction we feel when we lock in our eyes to its stunning clarity. We also spent some time using the $99 Pixelbook Pen, which offers the typical paper and pen experience with its pressure sensitivity. It’s a nice option to have, but it’s a bit thicker than some other comparable pressure sensitive styli we’ve come across with other tablets. Google’s Chrome OS has proven to be a robust platform, which is probably why it’s what’s running here with the Pixel Slate instead of Android. One of the main benefits of Chrome OS, as opposed to Android, is that it emphasizes more of that desktop-like experience by offering things like split-screen and tight integration of Google’s various services. Naturally, if you rely heavily on them, the experience here with the Pixel Slate will be more than be resounding. Then again, we’re eager to check it out a bit more to really gauge its worth versus true desktop platforms. 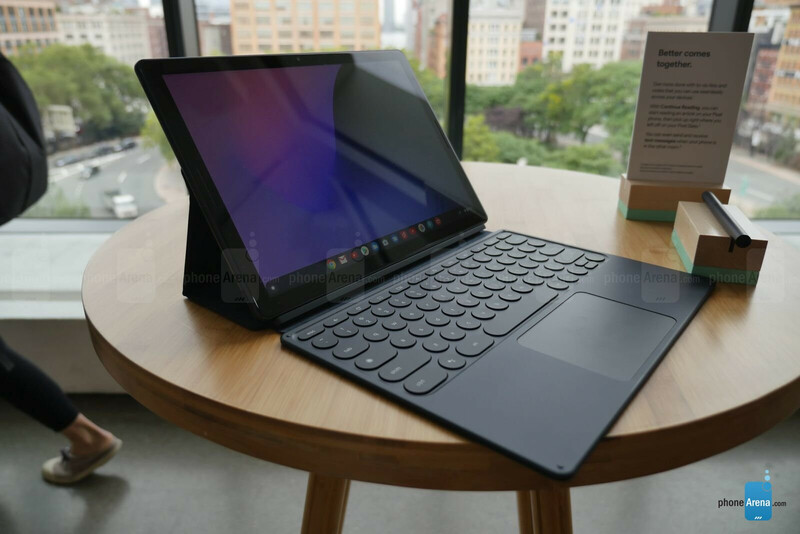 Considering that there are various configurations available with the Pixel Slate, its performance will vary depending on what you end up going with. At the lower end, it’s powered by an Intel Celeron processor with 4GB or 8GB of RAM, while at the upper end you’ll find an 8th generation Intel Core i7 with 16GB of RAM. Unfortunately, we’re unaware about what particular one we were checking out, but we did notice some stutter with animations – such as when we revealed the apps panel. Then again, it could be due to pre-production software, so we’re crossing our fingers that they’ll be smoothed out by the time it’s running final build software. In terms of storage, you’re limited to what configuration you choose. For example, the Celeron powered version comes with 64GB of storage – while the Intel Core i7 model gets a generous 256GB of storage. If you’re apt to shooting a ton of video, you may just want to be careful because there’s no expansion whatsoever! Bearing the Pixel name does come with a certain reputation, especially when it comes to capturing photos! Google’s line of Pixel smartphones are known for their outstanding performance, so it makes sense for the Pixel Slate to follow suit. Now, we’re not all that inclined to snap photos using tablets due to the awkwardness associated with the act, but the Pixel Slate has more emphasis with its front-facing 8MP camera. For starters, it’ll come in handy for those group selfie shots, thanks to its wide-angle lens, but there’s also a portrait mode available as well with it. We didn’t spend a whole lot of time checking it out, but you can say that our interest is sparked. Google has the Pixel Slate rated for 10 hours of battery life, which will be interesting to test out once we get our hands on it. That may suffice people, but when you think about how it’s more of a mobile computing device, its performance will undoubtedly vary depending on what you do. Light tasks such as the occasional email reply and surfing the web shouldn’t be too taxing, but if you plan on getting some serious work done or playing games, it’ll be interesting to see how it stacks up. With a starting cost of $599 for the base model, it sits right in the middle against Apple’s 10.5-inch and 12.9-inch iPad Pro models. It’s a competitive price no doubt for a device that’ll offer users more flexibility of getting work done over their smartphones. Then again, to truly reap all the rewards and benefits, you’ll end up spending even more to pick up the optional Pixel Slate Keyboard and Pixelbook Pen. And at the upper end of the spectrum, it’ll cost you a whopping $1600 for the Pixel Slate, which at that point is intruding well into laptop territory! Right now it’s tough to say if the Pixel Slate has more value than some other tablets on the market. Chrome OS has proven itself in being a versatile platform, but when it comes to tablet experiences, the iPad continues to reign supreme. If we’re to look at pricing, we’d be comfortable with the $600 cost for the base model, but it would be rather difficult for us to even fathom pulling the trigger on going with the highest-end model. At that point, there are several alternatives that would offer greater functionality. I’m sorry but I’m having trouble justifying the pricing here. For $590 right now on BestBuy you can purchase an HP Chromebook X2 which is almost the exact same thing as this except it includes BOTH the keyboard and pen at the $590 price. And it has a better processor than the Celeron on the Slate. And it has gone on sale for $550 and less before too. $600 for a measly celeron? No Thanks. I'd rather have the A10X. I have to agree with you here. A10X indeed is the better proposition in this range. BTW on certain deal sites in USA (slickdeals, techbargains etc., might have to dig up a bit), 256GB iPad Pro(WiFi only) is going for about $600. A good price considering the longevity of the device, the 120Hz screen, great battery life and the HDR support. No jack? Isn't ChromeOS pretty much on the same stupid level of BT support as iOS? That is really sad. Hopefully, at least USB DAC is supported natively in OS. $1600 for this, why not buy a dell xps 13 or 15. I rather get an apple iPad especially if they shrink the bezel. You can buy a convertible chrome device from HP and a MacBook/Windows device for that price. Lol I just bought a mid tier gaming laptop for $1430, with 1070MaxQ and 16 GB RAM. Yeah, it's ridiculous. On the other hand, my friend just bought the iPhone XS MAX 256 gb version for, i s**t you not, $1600 ! Different markets, i guess. The only thing I like about this device is the lack of jack. I’d wish Apple to do the same for both future iPads and Macs. Apart from this, everything else is just boring.